Over 22 million doors across the UKcould be at risk from a method of attack where the lock cylinder can be broken in just 5 seconds. 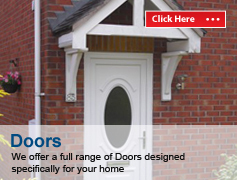 We recommend that all vulnerable doors using euro-cylinders be upgraded to incorporate ‘Break Secure’ cylinders. The Chief Constable for West Midlands Police told the PRESS homes were at risk because it just took a matter of seconds to disable the locks. He said police had not wanted to draw attention to the issue up to now because they did not want to alert criminals to the security weakness. But he said the practice was becoming so commonplace that the public needed to be warned. In as little as 13 seconds an intruder can get past a euro cylinder door lock as illustrated below by using simple DIY tools. The euro cylinder lock construction creates a weak point making it easy to snap. 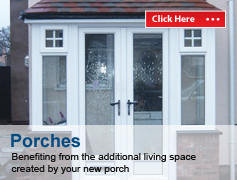 The vast majority of doors in the UK & Ireland could have these vulnerable euro cylinder locks. Many lock manufacturers have attempted to increase the strength around the fixing position on the euro cylinder and have introduced anti-snap lines – burglars have quickly developed their methods of attack and are simply bypassing these reinforcements. 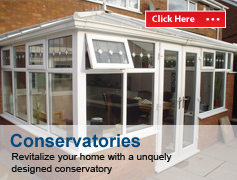 Prices for cylinder change start FROM as a little as £50* please call Great Barr Windows Ltd today 0121 344 3415 for further information. The ABS Snap Secure Lock is the only lock available with our patented snap secure technology which will effectively lock the central cam in place. 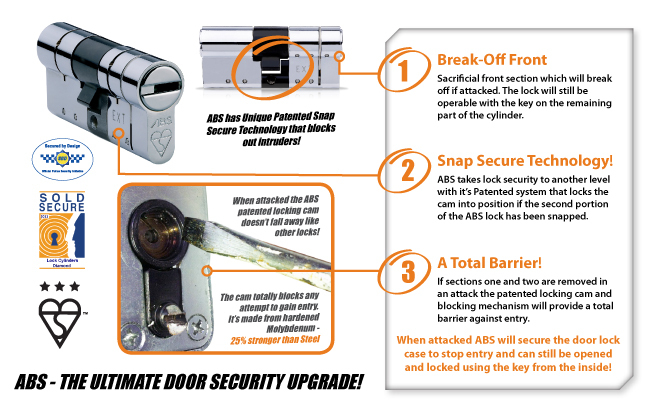 The ABS snap secure technology totally blocks access to the door bolt mechanism inside the lock case to effectively combat a snap attack. ABS is the only door cylinder lock that is genuinely snap secure without the need for additional security devices such as cylinder clamps, guards and security handles, all of which require machining of the door to fit. ABS keeps raising the standards and is now accredited with the new BSI TS007 3 star rating for security hardware – the new british standard which tests the enhanced security requirements for replacement euro cylinders. ABS has also been accredited with the Master Locksmith Association’s Sold Secure Diamond standard, the highest standard for a security cylinder and also holds Secured by Design status. 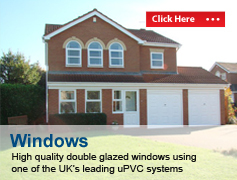 For a friendly no obligation chat about anti snap cylinders and your replacement windows, doors and conservatories, call Great Barr Windows now on 0121 344 3415, contact us by email on info@upvcwindowsdoorsbirmingham.co.uk or complete our online quick quote request.